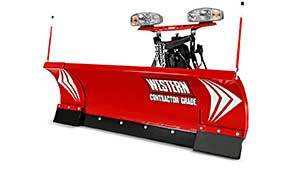 The WESTERN® WIDE-OUT™ adjustable wing snow plow puts total control in your hands for unmatched versatility. 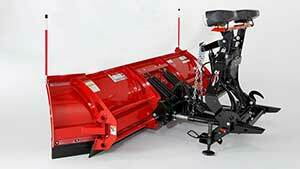 Go from retracted straight to extended straight, windrow, and scoop, all at the touch of a button. Get done up to 30% faster. The WIDE-OUT is the ultimate in CONTRACTOR GRADE® performance. The 12-gauge steel moldboard is 29" tall with independently controlled wings that expand the blade from 8' wide to 10' wide. With both wings angled forward in scoop, the blade is 8' 10" wide. The 70-degree attack angle ensures a clean scrape with every pass and a high carbon steel cutting edge comes standard, reducing wear and extending the life of the blade. The WIDE-OUT™ wings feature heavy-duty polyurethane cutting edges to reduce wear and protect the blade. These cutting edges can effectively trip in any position, including scoop. Six vertical ribs, a heavy-duty quadrant, and a dual WESTERN® POWER BAR provide exceptional torsional strength and rigidity across the entire back of the plow blade to eliminate blade twisting. The wings slide laterally across a structurally reinforced slide box to prevent bending, even under the heaviest loads. 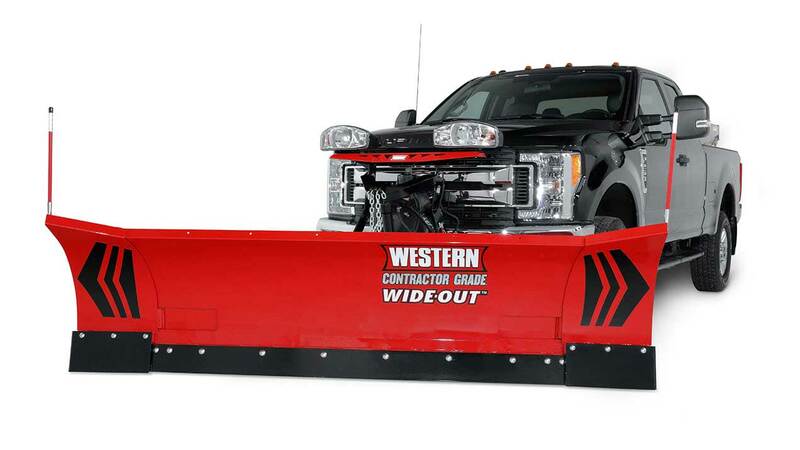 Four heavy-duty coil springs protect your plow and truck by allowing the whole blade to trip when striking obstacles. The durable polyurethane cutting edges on the wings protect the blade allowing it to trip in any position.